Walken in Short: This is necessary Walken. MPAA Rating: This film is rated ‘R’ for Really-graphic-violence. F-bombs and shi-nanigans abound as well, but who gives a rat’s abs about swears when the things you’re seeing on the screen are so very very disturbing. Enjoy! Available to Own: DVD, Blu-Ray, VHS. At any movie store in the world. Movie in a Sentence: This is about how the Vietnam war affects the lives of a tight-knit group of young Pennsylvania steel-workers, focusing mainly on the friendship of Michael (De Niro), Stevie (Savage), and Nick (Walken) as they survive the horrors of POW torture (specifically forced Russian Roulette) and their struggle with returning to the small-town lives they had before the war. FUN FACT: In one scene, De Niro didn’t know Walken was going to spit in his face. He was furious and almost walked out. They kept that take! Should You Watch This? Yes. This is a heavy, violent, heart-breaking film. Admittedly, it is over-long, and it does take a while to build up steam, but… wait a minute, what do you mean you haven’t seen this?! Just watch it already. Really. It is a must-see, both from the Walken perspective, and as a beautiful film. Walken Content: About 60%, I’d say. He doesn’t say much, but he’s usually on screen, saying all kinds of stuff with just his face. And then when he does actually speak, people listen. He is as quiet as he is intense. 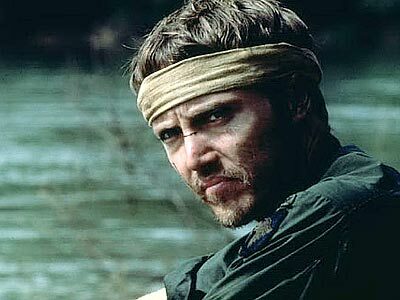 Though De Niro’s character literally is the deer hunter, it is Walken’s character-arcs that define the film, it is his actions that everyone else reacts to. There is a lot of bravado and macho posturing thrown about in this film. And until this scene, Walken was just one of the guys, mindlessly carousing, whooping, hollering, desperate to manufacture another happy memory to think about after everything has changed. With only a few words this quiet admission of arboreal enthusiasm reveals the sensitive naturalistic nature of a character who is constantly surrounded by men who bicker, and whine, and kill animals, and see nothing spectacular about the trees. His friends. 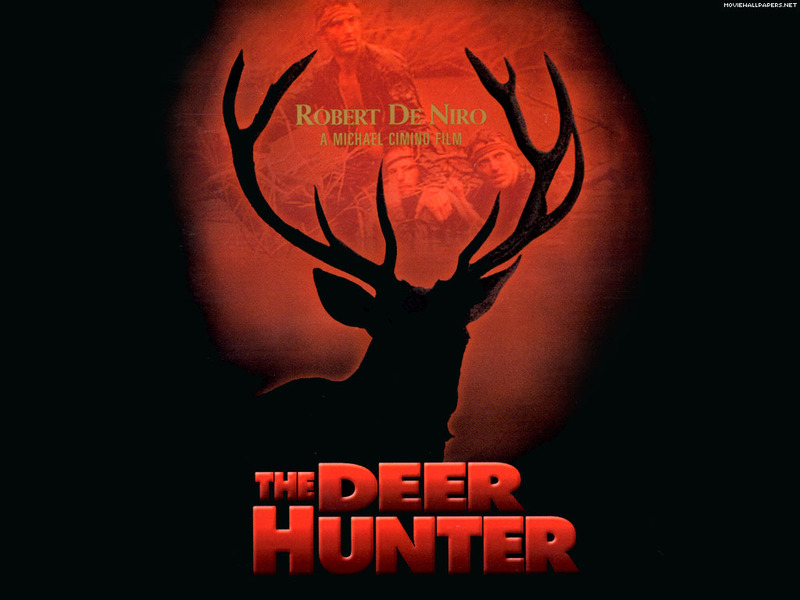 GENERAL: The Deer Hunter is a powerful film, in content and execution. There are numerous iconic moments of genius, like De Niro holding a bullet up to Stanley and saying, “This is this. This isn’t something else. This is this.” and the multiple nerve-wracking scenes involving Russian Roulette. This film is beautifully shot, painstakingly textured, and most of the performances are grounded in deliciously gritty realism. On the other hand, it needs to be edited better. I know, I know: it won an Oscar specifically for editing. I don’t care. It’s about an hour too long, and that hour is made up of tediously long shots of the local boys working at the steel mill, endless wedding celebration, and too many shots that just plain went on too long. It adds up. And it slows it down. Sure, I get it. That’s his style. The pace is deliberate. He’s showing the community, establishing the norm, their jobs, before taking them to Nam and traumatizing them. I get it. I’m just impatient. And I think there is room in that film for a compromise, something closer to two and a half hours. There is a thread of a love story between Nick and Linda (Streep) that never takes off, and then another with Michael and Linda, but there’s no happily ever after for anyone. Streep does a great job. She cries a lot, acts flustered, gets overwhelmed. She has a few memorable moments. 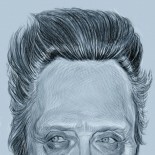 But let’s get back to Walken, shall we? 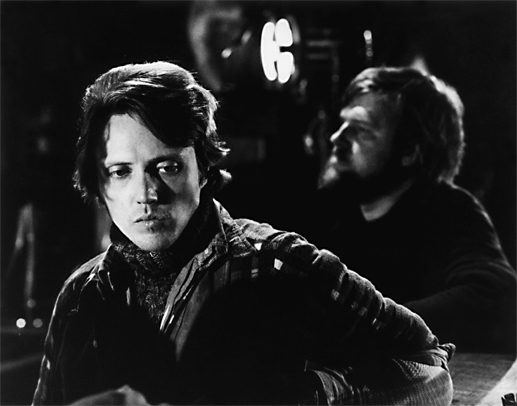 The awards and attention that Walken got for this film catapulted him into the realm of super-stardom. The year was 1978. He won his first and only Oscar for his role in this film. Up until this moment, he was still unsure of his permanence as a film actor. Can you imagine, young Walken doubting himself, his powers, his place? But that little golden trophy meant steady work for decades to come. It was confirmation of the highest sort. Mr. Walken had indeed arrived. I want to share a paragraph that I just read with you. It’s from Robin Wood’s 1986 book ‘Hollywood from Vietnam to Reagan’. Yeah, the title didn’t do it for me either, and I didn’t recognize the name, but it did have a sweet picture from Bladerunner on the cover. And then I noticed it was basically a collection of essays deconstructing and analyzing the films of Altman, Scorcese, Spielberg, and Cimino among others. Cool, right? 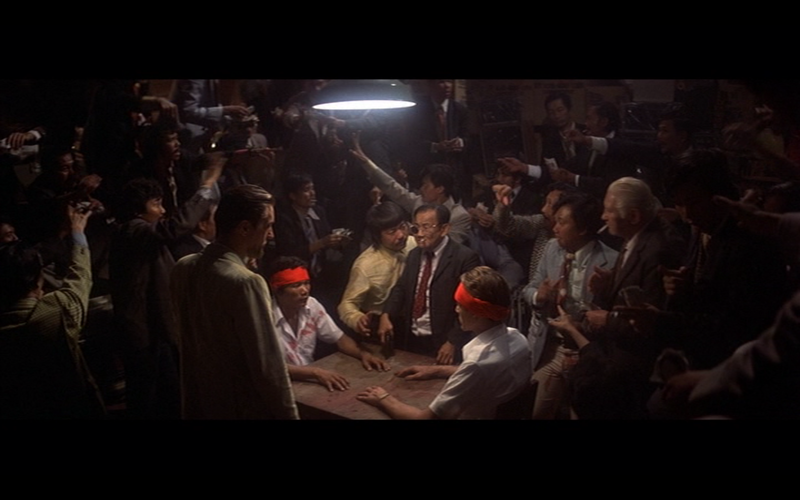 This entry was posted on April 11, 2012 by Something Something (todd) and tagged blu-ray, Cimino, De Niro, drama, John Cazale, John Savage, lead, Meryl Streep, must-see, Nick Chevotarevich, Russian Roulette, steel workers, Streep, This is this, Viet Nam, Walken, Walken Classic, Walken Film Review, War Vet.